Add volume and smooth out the deep creases that run from the nose to the mouth. Plump thin lips and smooth out vertical lines around the edges of the lips. Enhance the shape of the cheeks by restoring youthful fullness. Improving the look of the area around your eyes. Fixing scars from acne or chicken pox. Fill empty or hollow gauntness in the lower cheek or temple area due to aging. One of the most popular benefits you get when using dermal fillers is that the recovery time is minimal. Most procedures can be done in less than fifteen minutes and the patient is then free to resume their daily activities. 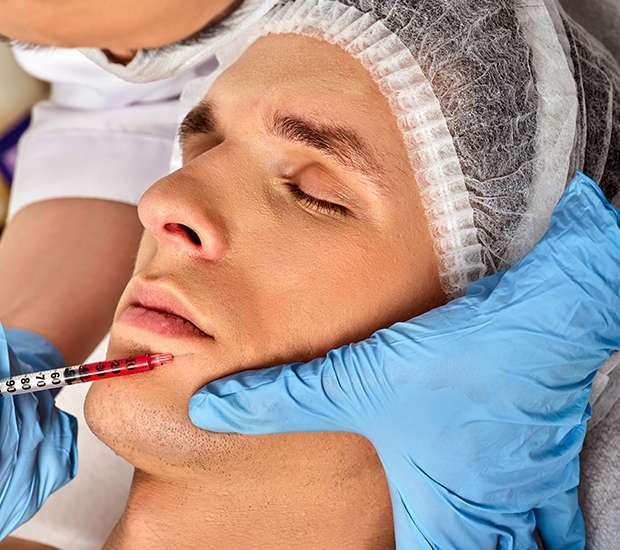 Also the potential side effects of using dermal fillers when done correctly by a specialist is very minimal, in some cases people only experience some redness or swelling around the injection site. This redness or swelling normally disappears within a few hours. Most people can even cover the redness by using makeup. In other cases, people may experience some bruising, but these situations can be avoided if you follow our pre-procedure instructions before coming in for the appointment. What is the difference between synthetic and natural dermal fillers? In short, the difference resides from where the filler is derived. Dermal fillers can be made from natural or synthetic materials. Another difference is the time the effects will last normally a filler can last anywhere from six month up to two years. What are the most popular fillers? The most popular fillers are based on hyaluronic acid, a molecule found in the body that helps to hold moisture in our skin. These include Juvederm, Restylane, Perlane, and Voluma. Radiesse is calcium based and generally used for more coarse lines and wrinkles. The above-mentioned fillers cause immediate pushing up of lines and wrinkles, but Sculptra, which is composed of L-polylactic acid, causes a gradual building up of your body’s own tissue to restore volume. The results from a series of Sculptra treatment sessions are usually longer-lasting. Dr. Rodriguez discusses which filler or combination of fillers would be most suitable for your specific concerns. Dermal Fillers are not the same as Botox, although both procedures might be used at the same, Botox is normally injected around, and in certain areas of the face to stop muscle movements that results in wrinkles. In the other hand, dermal fillers helps to “plump” and smoothen the areas where the skin has become thinner with age.